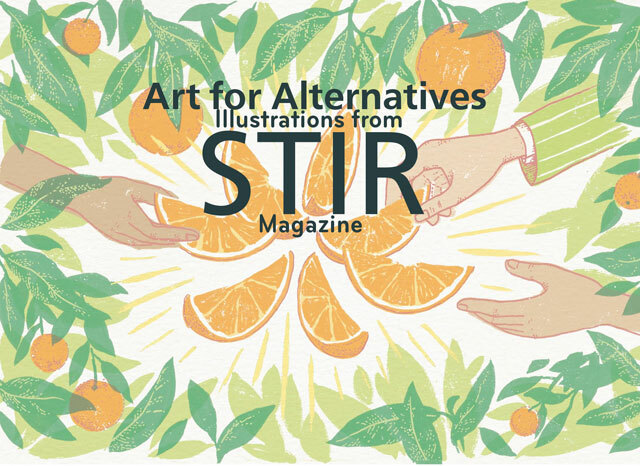 For every issue of STIR magazine we commission original artwork and are lucky to have worked with some truly talented artists. It is our pleasure to showcase and sell these fantastic illustrations in a week-long exhibition at Hamilton House, Bristol, from February 11-17 2016. The opening night of the exhibition is on February 11th where you can enjoy the art, buy some prints, and also try some beers from award-winning microbrewery Gyle 59! You can just turn up or let us know you're coming by signing up via our Facebook events page.